With the accommodation planning all but sorted I must move onto kit. If I’m not using a baggage courier (and that’s still in the balance and is likely to be right up until the start of the walk), okay so let me digress a minute… I’m not sure I mentioned this earlier or not, but for Brigantes (the only people who do baggage along the whole length of the Pennine Way) to make a baggage run pay they need 4 bags or more from the start point on any one day. So as I’m walking on the 5th May, I need 3 other people to book baggage transfer starting on that day – the chances of this are unknown, but I guess quite slim. So I’m banking on the worst (no baggage transfer) and hoping for the best (3 more people decide to start walking on the 5th May and book baggage with Brigantes). So, if I’m not using a baggage courier then I need to save as much weight as possible, which means new kit! Well some selected new items anyway. The first item under scrutiny is going to be my pack. 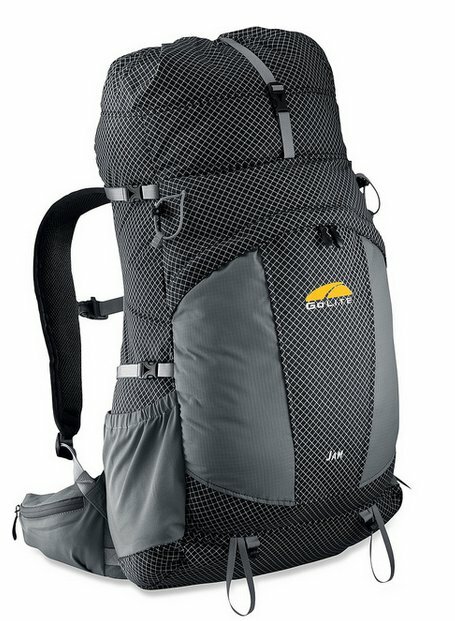 My multi-day pack at the moment is a 3 year old Berghaus Arete 45, which has served me well on the few wild camps and multi-day walks I’ve used it on. However, I reckon with the right replacement I could shave at least 500g off the weight and possibly increase the volume a tad as well. 45 litres has been just about enough for a three day backpack – its a squeeze, but it all goes in. I tend to favour everything inside the pack, nothing swinging about on the outside to catch on trees, stiles etc. I would love the luxury of another 10 litres. My first thought was something in the GoLite range – perhaps the new Pinnacle or the Jam 2. They both come in long sizes, which would suit my 6′ 4″ frame and they would both shave 500g off my base weight. I think a trip to Ellis Brigham is in order. I took a trip out to Go Outdoors, the biggest outdoor shop within easy distance of home – primarily to get a pair of long-johns (my current ones are on their…er… last legs?). I stopped in at the rucksack section to see if they had any GoLite packs in stock. I’d already decided that my pack is the best source of weight saving and could probably be achieved for the least amount of outlay too. I found a Pinnacle and a Pursuit. The Pursuit isn’t any lighter than my Arete (the old style Arete, not the new one) so I quickly dismissed that, but the Pinnacle looks quite funky. This is a big bag as well, the website stats say it’s a 72 litre pack and it looks it – which is way more than I need, even for a three or four day backpack I’d never fill it (or rather if I did I’d never carry it). However, despite the volume, I tried it on, the hip belt fits beneath my gut nicely and the long version fits my back too, so in terms of size it’s just what I need. They had no Jam’s in though so I walked out with just my long-johns. I got home and searched the web for a while and found a new 2009 model Jam at Outdoor Warehouse for only £40 – that’s a huge reduction from the list price and they had long back versions and the colour I wanted (a rather understated grey they call Night). So I ordered it. Rather impulsive I know – I’ve not tried one on yet. However, I can return it if I need to and at that price it seemed like a reasonable gamble. So that’s the first (and possibly the most important) piece of kit sorted. My quest now turns to waterproof boots and possibly some new waterproof trousers (do you see a theme starting? I’m not expecting 17 days of sunshine). I’ve used the GoLite Jam all over the winter for my regular day pack and it’s performed really well. It’s fantastically comfortable and feels great even when stuffed full of fleeces and spare baselayers and a flask of tea. I’ve not even had to expand the bottom section of the pack. The irony is of course, that as I’ve now got the baggage transfer sorted out, I probably don’t need a pack this size anymore and I can use my standard summer day pack, which I purchased for the Coast to Coast last year. The next area of spend is likely to be boots. I’ve moaned recently about the longevity of my Inov-8s and the fact that I won’t be buying anymore after these Roclites die, which they’ve been promising to do for a while, but have actually seemed to plateau in their descent. 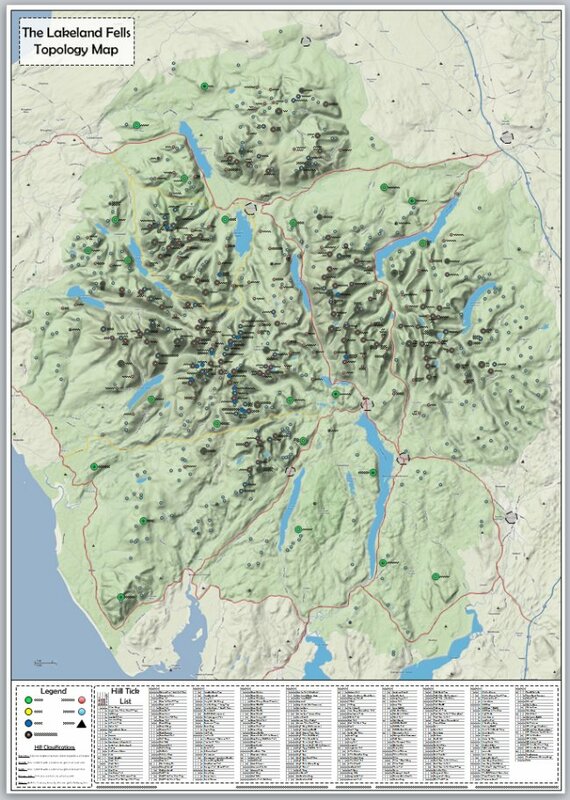 However, I think waterproof, lightweight boots are in order for the Pennine Way – not sure I want to walk in wet feet all day and then put them on the next day wet as well. I’ve been considering some Salomon Fastpackers, not least as various outdoor bloggers have recommended them and the ones I’ve tried on have felt superb. I’m sort of hoping the price will drop in the new year and I can pick some up for under £100. Although they will be a net weight increase over my Inov-8s they will be a considerable weight saving over my Scarpa boots, which is the current alternative to my Inov-8s. Another rush of blood to the head yesterday morning and I found myself £79.99 lighter in the bank balance, but very much in credit in the lightweight boot department. I’ve been shilly-shallying about new boots for a while and I’d sort of persuaded myself that I would see the winter out in my trusty Scarpa Zero10s and I would wait until the spring to get some new lightweight boots. But the fantastic offer price at Fifth Element was too good to pass up. These are the Salomon 3D Fastpacker Mid GTX – the name probably weighs more than the boots do – they’re each about 490g – half the weight of my Scarpas. I will use them at some point in the near future I hope, although I probably won’t be walking anywhere until 2010 now – my last walk today was excellent though – misty and cold on the tops, heather bashing for a while and then down into the valley as the sun came out and lit everything up. I’ve not been at all happy with the Fastpackers. Although I’ve probably only been able to use them on half a dozen walks so far, it’s clear that they are ever so slightly too small for me. Although I tried them on in Blacks, with walking socks and they seemed fine, once I get half way round a walk they start to pinch quite badly. This is particularly noticeable on descents and by the end of the walk my feet are feeling quite abused. They’ve not given me blisters yet, but I can imagine after several days of continuous use they would. 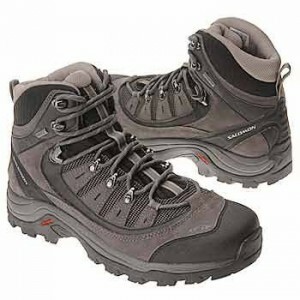 The Salomon fit seems to be half a size smaller than standard boots. My Scarpa boots are 10.5 and I can wear a normal sock and a thick Bridgedale inside them. I’ve had to puchase a silk-like liner sock and use standard gym shoe type socks for the Fastpackers. Also, they really don’t shed the water the way they should do. The clue is in their name – GTX. They have a Gore Tex lining, but still my feet get wet after relatively light wetting – i.e. walking through wet grass or splashing through a shallow stream. I don’t know if this is just because Gore Tex isn’t up to the job or if there’s a flaw in the membrane on these boots. I’ve emailed Fifth Element and asked them what to do and they’ve asked me to return them. If I get a replacement pair, they’ll be going on eBay. Or you can ping me an email and make me an offer! 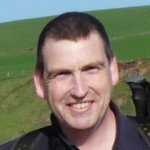 I had to find some lightweight boots to replace the Fastpackers – and I had to find them fast – there are only 5 weeks to go until I set out from Edale and I certainly don’t want to be doing that with untried footwear. 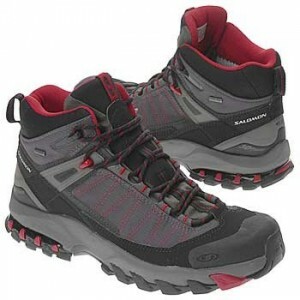 Tex has some other Salomon boots – the 4D Quest I think – and he absolutely swears by them – in a good way! They are very comfortable and completely dry. So I don’t really have a problem buying Salomon. The problem with the Fastpackers was a combination of user error in selecting a half size too small and possibly a flawed Gore Tex membrane letting in water. So, I looked at their range and found that the 4D Quest were about the same weight as my heavy Scarpa boots, what I’ve come to think of as my winter boots. I still wanted to go lightweight, so I looked at the Mission GTX. They are a tad heavier than the Fastpackers, but they are a full height boot – this will have the added advantage of reducing the amount of debris I’ll get in the boots, especially when I’m walking through heather – which I expect to be doing a couple of times on the Pennine Way. I found a pair in Go Outdoors and they had them in a size 11 – half a size more than I would normally take, but when I tried them with my socks on they were great. They felt much better than the Fastpackers, so I bought them on the spot. They were £99, which was a hard lump to swallow at the moment (I’m skint), but I’m not risking the whole Pennine Way for a few quid. As it turns out the Go Outdoors Price Guarantee scheme paid off again (as it did for the purchase of my Paramo Alta II jacket) and I found a site on the Internet selling the Missions for £80 – so I went back with the proof and GO refunded me the best part of £30. I’m just back from a 10 mile test walk with the new boots – and what a difference! 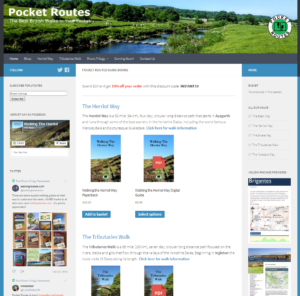 I chose a route in the Bowland Fells, it started out along a gravel track, then climbed steadily along a four-wheel drive shooters track before heading across heather moorland for a short while, to pick up a very wet and boggy path back to a tarmac road which was followed for about 3 miles back to the car. So a little bit of everything to test them out on. I spent the first 1/2 mile or so very concious of how they felt, testing the fit and so on and then six miles later I remembered I was supposed to be testing boots! I’d forgotten I had them on. They really are that comfortable. They seemed to keep the wet out too – although the boggy track was wet, it wasn’t very long – so it’s not a full test. The final mile or so would have had me kicking my feet back into the heels with the Fastpackers, but not so with the Missions – a much easier fit. First impressions are very good – fingers crossed. This is a post-walk update, reporting on the Salomon Mission GTX boots. I used them every day for the 260 miles journey from Edale to Kirk Yetholm and they were absolutely fantastic. These are the most comfortable boots I’ve ever worn. Even on the final 26 mile stage from Byrness my feet felt fine – they felt tired, but that’s only to be expected – but the boots were great. My only very slight complaint was that they felt warm in warm weather. My feet did feel a bit sweaty after a long warm day, but there was no rubbing, no hot spots and no blisters. My feet didn’t suffer at all from the boots. One thing that happened on this walk, which has never happened to me before is that two of my toe nails turned black – the second toe on both feet. I suppose this must be down to the boots, but they weren’t sore, there’s plenty of room in the toe box and they don’t hit the front of the boot when I’m descending. But for toe nails on both feet to go – at the same time – is too much of a coincidence. I’d never been truly happy with the Paclite waterproofing – I generate a lot of internal heat and even on a dry walk I ended up wet inside the jacket – combine that with a downpour and I was almost guaranteed to be soaking inside after a walk. I’ve found Paramo though – a different way of waterproofing – one that tends to keep me dry – which is nice. However until recently they’ve tended to be quite heavy coats – not something you’d want to carry in the summer on the off-chance of a rainy day. 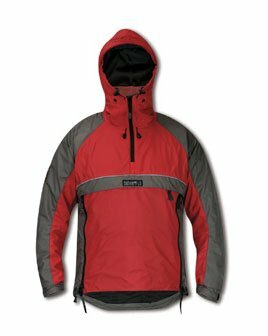 I have an Alta II Jacket that I use in the winter and it’s excellent. Then recently, Paramo released their Adventure Light range. This is a lighter version of their Nikwax Analogy protection system and provides some significant weigh savings over their previous ranges, without compromising on quality or water resistance. I tried on a Paramo Velez Adventure Light Smock in Go Outdoors and loved it. The big fat version was big enough and it has a scooped tail, so it covers my arse too! I’ll be packing this in my day pack using a dry bag – and it packs down quite small considering. The problem is it’s just too bulky to be comfortable and although I now have a great chest pouch to carry it in, it’s still not ideal. So when I thought I was going to have to carry all my own gear I decided I would need to go back to a compact camera. I’ve become used to having an 18x zoom though and I’m not sure I could go back to a paltry 3x or 5x zoom which is what you get on most compacts. 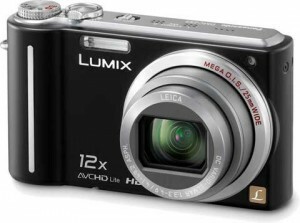 Panasonic have the answer though – they have a range of super-zoom compact cameras. Now these are not cheap, but they are superb. Tex Gore has one – and for someone who normally can’t take a good picture to save his life – he does a reasonable job with his Panasonic TZ7. I decided I didn’t want to spend much money though – for two reasons. First I’m a tight wad and I’d already spent £250 on the FZ28 and although I can re-coup some of that by selling it on eBay I also found that having spent so much on the camera I wouldn’t use it when it was raining for fear of damaging it. On our 2009 C2C walk, Tex and I had several days where it rained for all or part of the day and as a consequence of carrying my “good camera” I don’t have any photos of those sections. So my plan was to buy a reconditioned Panasonic TZ6 on eBay and make sure I use it even if there’s a slight chance it will get wet. The TZ6 has an incredible 12x zoom and a 25mm wide angle Leica lens on it – it really is a high spec camera in a tiny package. In the end I paid about £130 for the camera and it looks like new. It uses the same SD card memory as the FZ28 so I don’t need to buy new memory for it and it fits into the Lowepro compact case I used to keep my Fuji F11 in, so no need to spend money on a new case either.